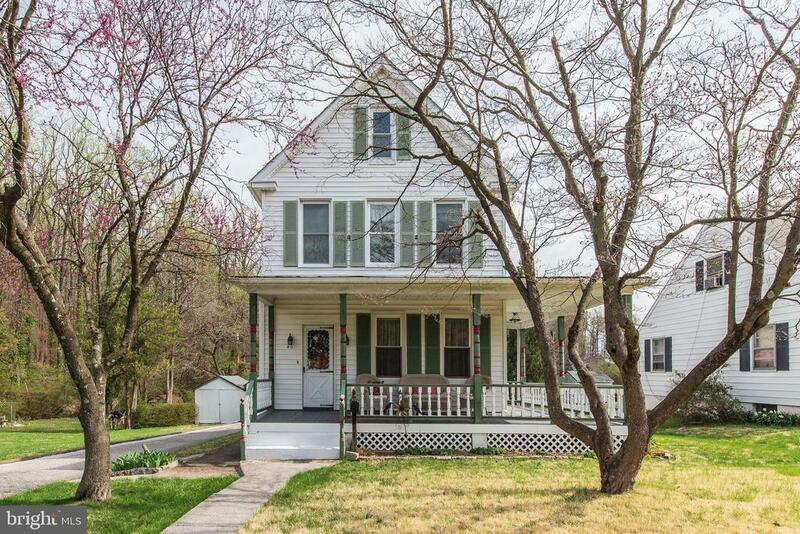 CHARMING 3 BEDROOM, 1.5 BATH COLONIAL LOCATED AT THE END OF A PRIVATE ROAD WITH PARK LIKE SETTINGS!! ENJOY A SPLENDID EVENING ON THIS BEAUTIFUL WRAP AROUND FRONT PORCH--LOVELY LIVING ROOM FEATURES HARDWOOD FLOORS, BUILT-IN BOOKCASE, AND ARCHED DOORWAYS--DINING ROOM WITH HARDWOOD FLOORS-UPDATED EAT IN KITCHEN FEATURES LAMINATE FLOORS, RECESSED LIGHTS, GRANITE COUNTERS, BACKSPLASH, CENTER ISLAND, BREAKFAST BAR AND STAINLESS STEEL APPLIANCES, ENTRY LEVEL HALF BATH--LAUNDRY/MUD ROOM WITH VINYL FLOORS-UPPER LEVEL FEATURES 3 BEDROOMS WITH HARDWOOD FLOORS AND CEILING FANS--WALK-IN CLOSET--FULL BATH--LOWER LEVEL RECREATION ROOM WITH CARPET FLOORS--UNFINISHED STORAGE AREA--WALK-OUT STAIRS--DRIVEWAY PARKING--FLAT BACKYARD AREA WITH DECK AND SHED--BACKS TO WOODS--DONT MISS OUT- COME TAKE A LOOK!! Directions: Left on Jerusalem Road, Left on Belair Road, Right on Fullerton Heights Avenue.